Every day, hundreds of business people and other travelers – your customers – pass through Tri-State Airport. Why not take advantage of an excellent opportunity to present your company’s message to a desirable demographic group for maximum exposure. Advertising opportunities are available throughout the main terminal at very reasonable rates and flexible contract terms. 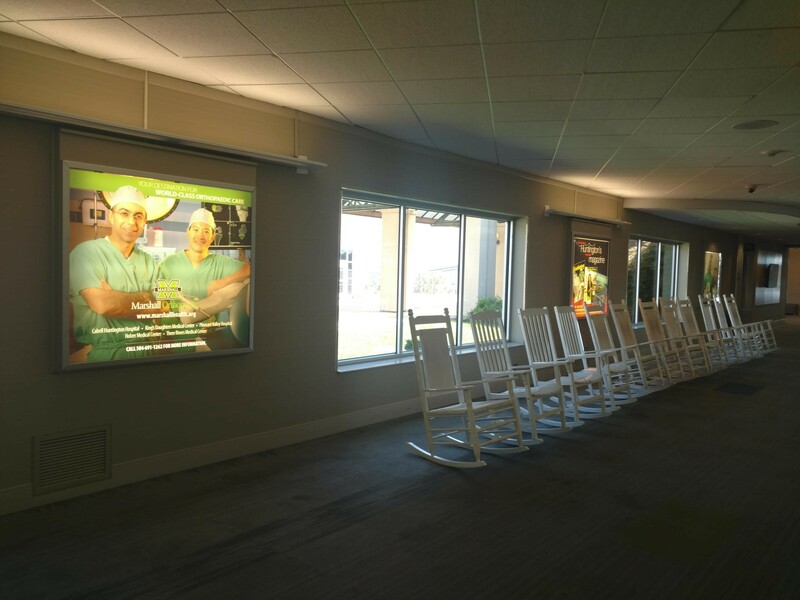 Venues include wallmounted backlit displays, free-standing showcases, floor space, and the courtesy phone center. We now offer 3 large digital screens located main terminal, baggage claim, and Jet Center that you can advertise a still image or 30 or 60 second Ad.